ChiIL Live Shows will be out for the press opening, so check back soon for our full review. 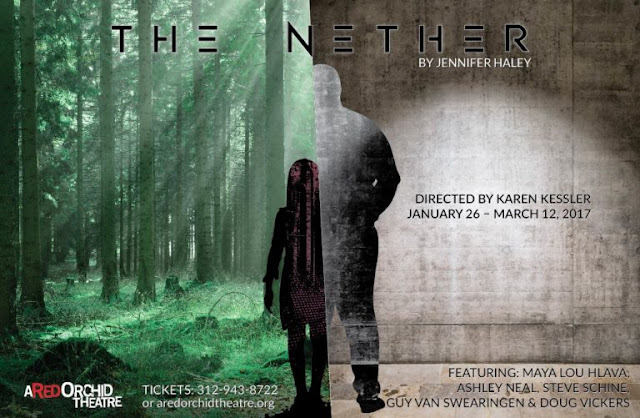 A Red Orchid Theatre continues 2016- 2017 Season with the Chicago premiere of The Nether, written by Jennifer Haley, directed by Ensemble Member Karen Kessler. The Nether features Ensemble Members Guy Van Swearingen and Doug Vickers with Maya Hlava, Ashley Neal and Steve Schine. The production runs January 26 - March 12, 2017, at A Red Orchid Theatre, 1531 N. Wells. A young detective uncovers a disturbing brand of entertainment, triggering an interrogation into the darkest corners of the imagination and the most basic of human desires. The Nether is a virtual wonderland that provides total sensory immersion; a beautiful escape that ultimately begs some very serious questions about responsibility, connectivity and love. Winner of the Susan Smith Blackburn Prize 2011-2012. The creative team for The Nether includes John Musial (scenic design), Myron Elliott (costume design), Ensemble Member Mike Durst (lighting design), Joe Court (sound design), and Abigail Crain (props design). The Production Stage Manager is Stephanie G. Heller. Jennifer Haley is a playwright whose work delves into ethics in virtual reality and the impact of technology on our human relationships, identity, and desire. She won the 2012 Susan Smith Blackburn Prize for her play, The Nether, produced in Los Angeles, off-Broadway, on London’s West End, across the US and internationally in Scandinavia, Germany, Turkey, Slovenia and Spain. 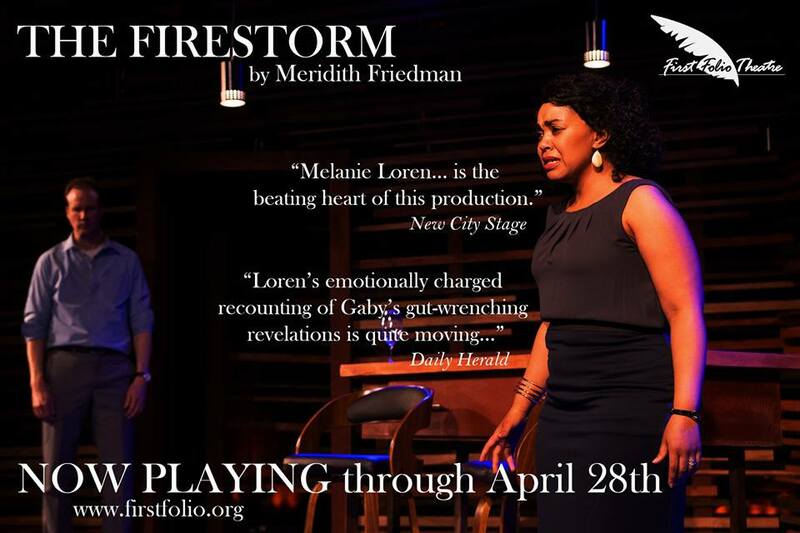 Other plays include Neighborhood 3: Requisition of Doom, a horror story about suburban video game addiction, and Froggy, a noir thriller with interactive media design. Jennifer has worked with Center Theatre Group, Royal Court Theatre, Headlong, MCC, Sonia Friedman Productions, Woolly Mammoth, the Humana Festival of New Plays, The Banff Centre, Sundance Theatre Lab, O’Neill National Playwrights Conference, Lark Play Development Center, PlayPenn, and Page 73. She is a member of New Dramatists in New York City and lives in Los Angeles, where she founded the Playwrights Union. Karen Kessler (Director) is a member of the Ensemble at A Red Orchid Theatre where she has previously directed the World Premiere of Brett Neveu’s The Opponent, the Midwest Premiere of Pumpgirl by Irish playwright Abbie Spallen, the Chicago premiere of Sarah Kane’s Blasted; the US premiere of Gagarin Way by Gregory Burke (After Dark award for Outstanding Ensemble) and the Midwest premiere of Mr. Kolpert by David Gieselmann. She recently directed the world premiere of Rob Kuzlaric’s adaptation of The Three Musketeers at the Illinois Shakespeare Festival. 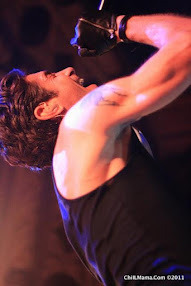 Other Chicago credits include work with Collaboraction’s Sketchbook, Seanachai Theatre, Famous Door, Next Theatre, Rivendell Theatre and Noble Fool Productions. Credits outside of Chicago include: Glengarry Glen Ross for the Northern Stage Ensemble in Newcastle-upon-Tyne, England; Macbeth for the Notre Dame Shakespeare Festival; Measure for Measure for Connecticut Repertory Theatre; Scapin, Macbeth, A Midsummer Night’s Dream, The Taming of the Shrew, and All’s Well That Ends Well at the Illinois Shakespeare Festival; and The Merry Wives of Windsor and The Complete History of America (Abridged) for Idaho Repertory Theatre. Karen teaches directing, acting and Shakespeare at Ball State University. Maya Lou Hlava (Iris) is making her A Red Orchid debut with The Nether. Other Chicago credits include White Christmas and Bye Bye Birdie (Drury Lane Theater), Jake's Women (Spartan Theatre Company), The Secret Garden (Court Theatre), The Talking Cure (Idle Muse Theatre Company), Jane Eyre (Lifeline Theatre), Darger & The Detective (Intuit, in association with Steppenwolf Theatre), The Wheel (Steppenwolf Theatre), Maya is also a principal voice over artist for Disney’s World of English and was seen in the film The Life of Penny Cyclone within the US Premiere of Ride the Cyclone (Chicago Shakespeare Theatre). ASHLEY NEAL (Morris) returns to A Red Orchid Theatre where she previously made her debut in Red Handed Otter. She was most recently seen in The Life and Sort of Death of Eric Argile at Steep Theatre and before that in Men Should Weep with Griffin Theatre where she also didStage Door. A proud member of Rivendell Theatre Ensemble where she has performed in many productions including Wrens, These Shining Lives, The Walls, and Be Aggressive. Other Chicago credits include Reverb at Redtwist, 25 Saints with Pine Box, Living Newspaper at Jackalope and Christmas is for Fools with Step Up Productions. With Rivendell Theatre Ashley has performed in Wrens, 26 Miles, The Walls, These Shining Lives and more. Ashley is a graduate of the School at Steppenwolf and Columbia College. STEVE SCHINE (Woodnut) has been an Artistic Associate with A Red Orchid Theatre since 2010 and marks his sixth AROT production with The Nether. Also at AROT: Gagarin Way, Hunger and Thirst, Solstice, Louis Slotin Sonata, and The Earl. Other Chicago productions: Gem of the Ocean and Invisible Man (Court Theatre), King Lear (Goodman Theatre), Martyr (Steep Theatre), Laughter on the 23rd Floor (First Folio), The Coward (Stage Left), It's a Wonderful Life (ATC), The City & The City (Lifeline Theatre), and The Cider House Rules, pts.1 & 2, A Going Concern, and Hellcab (Famous Door Theatre), as well as productions with Strawdog, Piven, Raven, and Northlight. Regionally: It's a Wonderful Life (Clarence Brown Theatre), and Romeo and Juliet, Two Gentlemen of Verona, Twelfth Night, and Julius Caesar (Lakeside Shakespeare). In NYC, he helped foster new works with Abingdon Theatre and studied at HB Studios with Austin Pendleton. TV: Jack Gatins on Chicago Fire and Curtis on Chicago PD. His voice can be heard in many commercials on television, radio, and the internet, as well as the Ubisoft video game, Watch_Dogs. Steve is a member of SAG-AFTRA. GUY VAN SWEARINGEN is an Ensemble Member and the founding Artistic Director at A Red Orchid Theatre, where he was last seen in Red Handed Otter and Simpatico. He has appeared in 14 other productions, including the World Premiere of The Opponent; first here at home and then in its remount Off-Broadway at 59E59th Theatre. Outside of A Red Orchid, he was most recently seen in The Sign in Sidney Brustein's Window at The Goodman Theatre. Guy has worked with many theaters in Chicago, including Steppenwolf, Lookingglass, Plasticene, Defiant Theatre, and Mary-Arrchie. Television credits include Sirens, Chicago Fire, Underemployed, Detroit 1-8-7, The Beast, Gifted Hands: The Ben Carson Story, Early Edition andTURKS. Film: The Dilemma, Take Shelter, Janie Jones, Public Enemies, The Merry Gentleman, Mad Dog & Glory, The Negotiator, Ali, The Weatherman and Adam Rapp’s Blackbird. Guy is also a Lieutenant for the Chicago Fire Department. DOUG VICKERS is an ensemble member at A Red Orchid Theatre, where he most recently appeared in The Mutilated and Accidentally Like a Martyr. Some of his other favorite appearances at Red Orchid have been in Simpatico, Four Murders, The Grey Zone, and Hunger and Thirst. Doug was the recipient of the Joseph Jefferson Award for The Best Man at Remy Bumppo Theatre (Best Cameo Performance). 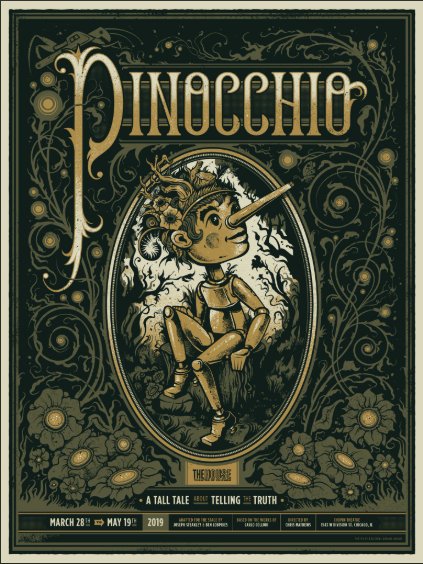 Other Chicago credits: Chicago Shakespeare (Comedy of Errors), Next Theatre (R.I.P.) (U.N. Inspector, Turcaret the Financier), Court Theatre, Famous Door Theatre, Trap Door Theatre, and Hell in a Handbag. Regional: Illinois Shakespeare Festival. TV: Underemployed (MTV). Film: One Rainy Day (MPG Productions), Hope’s Happy Birthday (Perry Productions). He holds a Bachelor’s Degree in English from Northwestern University-School of Continuing Studies and has done graduate level work in English at NU as well.